Ice Bar 27 is a 3-reel slot game that comes with 27 winning lines-a player has to spin a reel and get winning symbols. It is easy and straight forward, and that is why the game is recommended for both beginners and seasoned slot game players. The game incorporates a number of features and symbols that not only make the game easier, but also help trigger bonuses for those betting. This slot machine has symbol ice bar (wild) which substitutes any other symbol in the game. There are quite a number of drop off symbols, too. In this case, after the winnings of each round has been paid all winning lines explode and are instantaneously substituted by the symbols on drop off feature. Thereafter, the drop off factor is multiplied by two and if there is another win by the ice bar then the entire winning sequence is repeated up to32x. 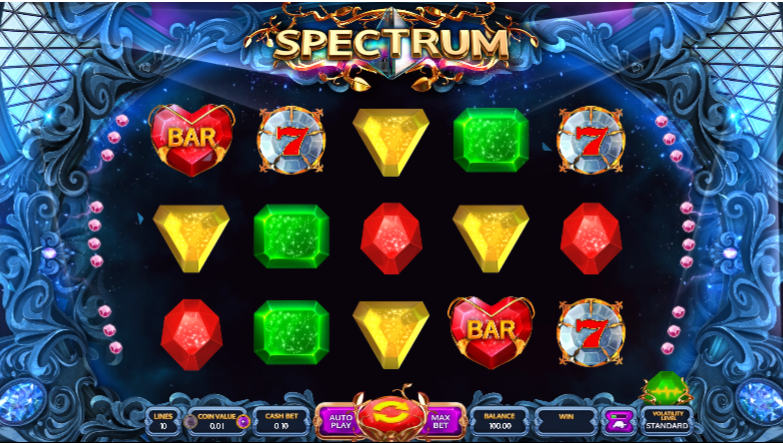 Players can also enjoy the benefits of mystery bonus game when 3 ice bars are on each reel the bonus is activated (the green, yellow, and red diamonds) with each having a different bonus level. The green diamonds will offer 40x the bet placed, the yellow diamonds is 75, and for the red diamonds is 150. There are quite a number of symbols used in Icebar27, of which makes it easier for new players to enjoy the game. The common symbols used in the game include; Ice bar (Wild), star, melon, grapes, bell, dollar, plum, orange, and cherry. The best way to enjoy the game is to understand the symbols, its value, and multiplier for you to place a bet strategically.